Lawyers, Killers and Endangered Birds ? Author Darryl Nyznyk practiced law for 2 decades before becoming a full time writer, so I'm sure he'll bring a sense of legal authenticity to this tale. He was also raised in a Catholic family, giving him more than just a lawyer's sense of good and evil. And his earlier novel, Mary's Son, is a three-time Gold recipient of the Mom's Choice Awards! So I'm really looking forward to this read... but are you? I used to say I'd never write historical fiction because it's too easy for someone to prove me wrong when they've really studied the subject. Perhaps that just means I'm too lazy to do the research, or else I'm too scared of my big brother who really does know way more than I ever will about history and politics. But then, if I write science fiction, won't I be subject to science advancing beyond my imagination? If I write of the present day won't someone else know better than I what's really going on? And if I write a book review, why should anyone value my opinion over another reviewer's? I guess I'll hide behind my character's knowledge, or lack thereof, when I write my stories. And my book reviews? Well, they're really just my personal response to the book's I've read. I hate to rate books because I don't feel qualified. But I'm always ready to grab another coffee and read some more. Why I like ebooks... I can pack my kindle for a trip in the tiniest space in my bag and have a whole library at my fingertips. I can read five whole books on a plane flight from the US to England without doing my back in carrying them around. Why I don't like ebooks... That kindle gets pretty overloaded after a while and the pages turn as if they're glued with molasses. But help is at hand! Just reset it to "factory settings" and go to Amazon to download the books I really want for my trip. Then turning pages and changing books is a snap, just like new again! Real world, sci-fi or fantasy? One school essay question asked "Would you rather have a short exciting life or a long boring one?" I chose long and boring because I'd be able to enjoy so many short exciting ones through fiction over the years. One I've heard of more recently asks "Would you rather live in the real world, a sci-fi future, or a fantasy world?" I'm wondering which answer to give. After all, I've been eager enough to embrace computers and ebooks. Does that mean I really do hanker after living in a sci-fi future, or is enjoying futuristic discoveries just part of the excitement of today. I like elves and dwarves and their stories too... but no, I think I really will choose real world over both the others as well, and enjoy many different futures and fantasies in fiction. I've got another Five Minute Bible Story at http://sheiladeethstudies.blogspot.co.uk/2013/06/coming-soon-from-cape-arago-press.html for you to sample (and share with your children, grandchildren and more). Then if you head on over to http://samplesaturday.blogspot.co.uk/ you'll find lots more virtual book booths just through the gate. Enjoy! I'll hope to see you there! My first romantic novel, Love on a Transfer, should come out soon with Willow Moon Publishing. One chapter's set in Blackpool, near where my Mum lives, and the other day I saw pictures on the internet showing volunteers climbing up and down The Big One there to raise money for injured soldiers... Those views of the beach and tower certainly took me back. And the view from the top of the Big One reminded me of days when I was braver and younger and dared ride super-roller-coasters with my brother. But I must be getting old--these days I'd rather read about roller coasters or watch them on TV than strap myself in to genuine terror. Anyway, here are some book reviews of Christian romantic suspense novels, with varying levels of scares and romance, all enjoyed from the safety and comfort of the nearest armchair. It happened! That moment I've dreamed of for years, that time I've read of with shared delight and secret jealousy in other writers' blogs, that preciously impossible wonderfully glorious moment! A total stranger came up to me and said "I've read your book and I enjoyed it"! The book she'd read was Flower Child, and the stranger had read it on her kindle--she was even planning to share it on kindle with her daughter. So I smiled for the rest of the day and the day after it, and more. She'd read my book! Of course, my joy was slightly clouded when the friends around my previously unknown reader said they couldn't read it because it's "only" an ebook and they only read print. So now my dream is to see Flower Child in print one day--but who would print a short novella? And who would pay the money for so short a print book? 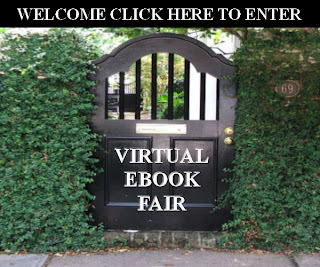 Are you going to the virtual ebook fair? It's Sample Saturday again and I'm posting an excerpt from my Five Minute Bible Stories Series (TM) at http://sheiladeethstudies.blogspot.com again in honor of the event. Great for bedtime stories (or so I'm told) and for Sunday School (which I can verify because I've used them there). They're even fun for Bible studies--we used them in a summer women's group one year. So head on over and see familiar stories through slightly different eyes, then visit the virtual fair at http://samplesaturday.blogspot.co.uk/ for more samples of writing just waiting to be read on your computer, kindle, kobo, etc... Hope to see you there! What makes a literary novel? 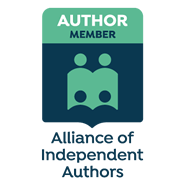 I've just posted reviews for two more novels and would have tagged both as literary, if only I'd thought to create a literary shelf in my Goodreads library. But can you imagine going back through those 952 reviews to see which books should have been literarily shelved? Of course, if someone would sell me more hours in the day (preferably free) I'd give it a go... but no-one's offered yet. So the books are shelved under mystery and cultural instead. Meanwhile I'm wondering, what makes a novel literary? I was wondering that last time I went to church too--strange the thoughts that drift through the brain sometimes. They were taking the collection and the choir was singing a truly beautiful song--but what makes a song beautiful? What lifts one song in church above all the rest? Are ebooks real? What about virtual ebooks? I'm reading Zvonek 08 in paperback at the moment and thoroughly enjoying myself. It's definitely a "real" book, but it's made from a collection of ebook novellas published by Gypsy Shadow Publishing. The hero's a wonderful cat called Zvonek who happens to also be a special agent--08 rather than 007, but if you read the books for yourself you'll soon understand the numbers. Meanwhile I'm posting short stories from my Five Minute Bible Stories Series (TM) on my Bible blog as part of the Virtual EBook Fair's Sample Saturday event. Head on over to https://www.facebook.com/events/381254251993089/, or enter via the garden gate at http://samplesaturday.blogspot.co.uk/ to read excerpts from lots of great books. Or wander over to http://sheiladeethstudies.blogspot.com to read a five minute story. Hope to see you there.